If you guys don't already know my obsession for all things DIY, you now know. With trends going in and out, season after season, my budget just can't keep up. So I've had to resort to making my own version of that "oh so trendy" skirt, bag, top, etc, etc. Even though it's ever so rewarding when I can wear my own creation, sometimes my creativity can only take me so far before it says "no". That's when I turn to the many DIY bloggers bookmarked on my Safari page, they never fail to feed my brain with endless amounts of options to tackle the imaginative block in my head. Having used their knowledge time after time, I thought I should shine a floodlight (a spotlight would not cover the expanse of their work) on their blog, and hopefully you'll be inspired too. From posts about travel to inspiring photos and my personal favourite, the DIY PROJECTS, A Pair & A Spare (AP&AS) is a blog founded by Geneva Vanderzeil. With clear instructions and photos that made me rethink the composition of my own, it's a blog that I would happily spend hours sitting and scrolling. The layout of the blog is also another aspect that has me sighing in contentment, my eyes often start to hurt when looking at busy pages with all sorts of stuff lying around, I can tell you that AP&AS is not one of those. The white background and easily-located tabs, all contribute towards the calming atmosphere of the blog. I should probably mention that this is my favourite DIY for the moment, seeing as I'm always changing my mind when another one turns up. 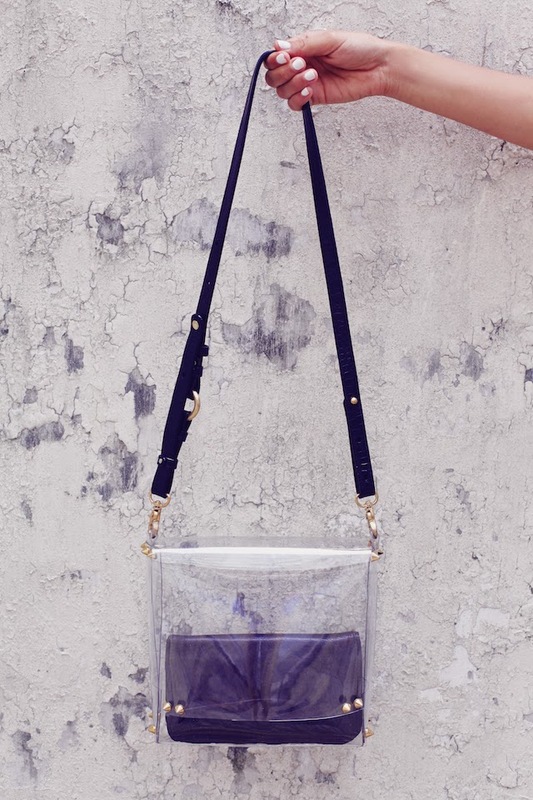 I love the DIY TRANSPARENT SATCHEL, what first captured my attention was the use of PVC as a material. I found it intriguing as it was a new take on the traditional satchel. Furthermore, the idea of using studs as a way of securing the bag together, meant that this was a DIY capable for newbies and beginners. Unfortunately, I have not yet started on this morsel of goodness, because it is amazingly hard to track down PVC that is the right thickness and also fits my very, very small budget. I'm still on a lookout and seriously hopes that someday soon this DIY bag will be part of my wardrobe. Well that's all for now and I hope you enjoyed this post as much as I do remembering how far AP&AS has led me on the DIY journey. Please remember to check out A Pair & A Spare, the posts are simply awesome.